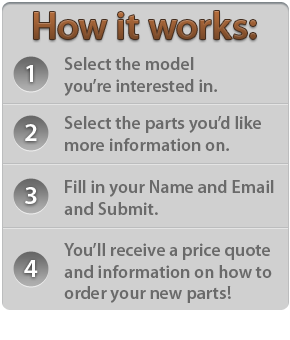 Need a part that's not listed in our Parts from the Shop? Here you can easliy find the part you need to replace and request a quote on just about any part available for each horn listed! 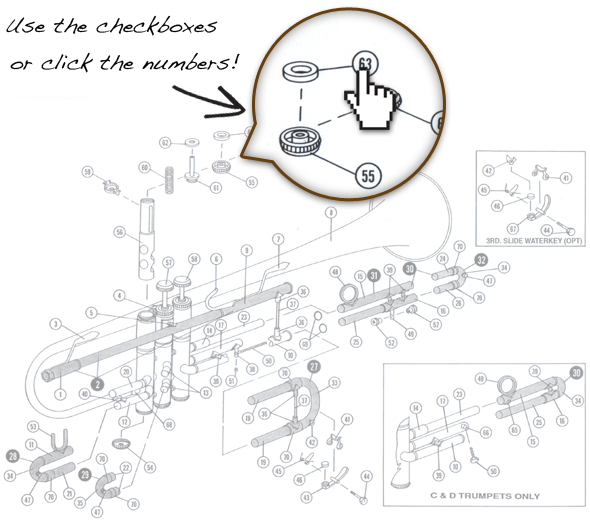 Just check the box next to the part or click the number next to the corresponding part in the diagram. 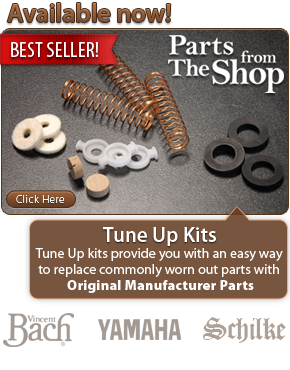 Be sure to check out our Parts from the Shop section for 100's of parts available now! Please Note: Specific Bells and Leadpipes can be found in our Parts from the Shop section. Please allow up to 48 hours for your price quote. Additional time may be required for weekends and holidays.